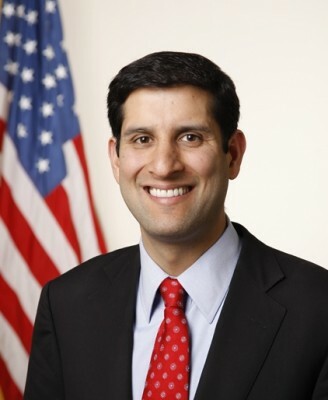 Vivek Kundra is the Chief Information Officer of the United States of America. Not many people know that there is such a position–he is the first, appointed by President Obama in 2009–let alone what the position entails. But when you consider that the federal government collectively buys more information technology than any other organization on the planet, technology companies that hope to win some of that business sit up and take notice. This year, the government will spend $80 billion on IT, at agencies as varied as the U.S. Department of Agriculture, the Department of Health and Human Services, and on non-classified sections of the US Department of Defense. As slices of government spending go, this is not huge, amounting to about 2 percent of the federal budget, but not trivial either. As has usually been the case, the government spends more (about $3.8 trillion in 2011) than it brings in via tax revenue (about $2.2 trillion in 2011). With Congress and the President wrestling over extending the debt ceiling, every dollar spent becomes a politically-charged particle of a wider debate over the appropriate role of government in our society. The one thing that pretty much anyone–whether they’re a politician, a member of the Washington bureaucracy, or a humble taxpayer–can agree on is that when a dollar is spent, it should be done effectively and productively. Kundra’s job is to whip government agencies into shape around IT spending, and make them think more like private companies in planning that spending. A keystone of his plan is to push federal agencies to embrace, where possible and appropriate, the cost-savings and efficiency that come from cloud computing. Today he’s released exclusively to AllThingsD a list of 78 different government projects and services that have been identified for a shift to the cloud. Requests for proposals–RFPs, the documents through which government agencies seek bids from the private sector–are either already written or soon to be released. The list is embedded below. In it you can see the breadth of the federal commitment to the cloud. For example: The National Oceanic and Atmospheric Administration would like to move 25,000 email and calendar accounts to a cloud service. The Department of Homeland Security would like to move 100,000 email accounts and 90,000 collaboration accounts to a secure private cloud-based system. The Bureau of Alcohol, Tobacco, Firearms and Explosives wants to move 7,500 users based in 260 offices to a cloud-based system. For a glance at the inner-workings of government, the list is enlightening reading, because the needs are so workaday. We often hear about the costs of multi-billion-dollar weapons systems that the Department of Defense wants for fighting wars both underway and imagined in the future. But even generals have to watch their travel budgets. What does the DOD want from the cloud? Among other things, a Web-based trip-cost estimator. Kundra says the 78 items identified amount to the first batch of what, when combined with many more systems to be identified later, amount to a combined $20 billion worth of IT spending now. At minimum, he expects that the agencies involved will save a minimum of $5 billion in the next year by making these changes, but he really hopes they’ll save a lot more. And you might think that $5 billion saved is $5 billion that no longer has to be spent. It’s actually more complicated than that. Dollars saved from unproductive projects can be moved toward more productive ones. The demand for IT in government, as in every other aspect in life, is not going down anytime soon. We talked about this yesterday. AllThingsD: So a lot of people don’t know that the U.S. has a CIO. What does the CIO of the United States do? Kundra: One of the things President Obama did right after the election was set up a transition team that focused on technology information and government reform. He created the first CIO role which I’m honored to serve in. And I’m basically managing four big areas. One, I make sure we’re effectively managing the $80 billion we spend on IT every year, and that we’re going after wasteful spending. We were able to save $3 billion by terminating poorly performing projects and turning around those that weren’t working. Second is to run the operation efficiently. Here’s an interesting data point. The number of data centers the federal government runs grew from 432 in 1999 to 2,094 this year. I just announced two weeks ago that we’re shutting down 137 of them this year, and we’ll shut down 800 data centers by 2015, cutting the number by 40 percent. That’s going to fundamentally change how we deploy technology as we shift services to the cloud. My third big area is cybersecurity. I’m very focused on making sure we’re protecting federal systems, and in the context of a world with nation states that target federal systems and organized crime going after critical infrastructure that we have in place policies built around actively protecting our systems. Fourth, I’m focused on creating an open and transparent and participatory government. So tell me about your goals and expectations by moving government IT projects to the cloud? First let me give you a little context. On my first day on the job, I convened a CIO Council made up of the CIOs from all the federal agencies, from the Department of Defense to Health and Human Services to the Environmental Protection Agency and Department of Homeland Security. I stated as an administration priority to move away from an IT model based on owning the assets to a model that is focused on service provisioning. Later, in September of 2009, I flew out to the NASA Ames Research Center in California, and I challenged the private sector, by saying that we are looking to lower the cost of government operations and are interested in innovative technologies in cloud computing. I was trying to answer a simple question: I was seeing all these innovations in consumer technology and how low-cost it was compared to what was happening in the federal government, where for years we had been spending billions of dollars and had little to show in terms of productivity gains. The great thing about competitive markets was that companies like Google, Microsoft and IBM all came forth with .gov cloud products. And companies that had never competed for federal business before like Amazon and Salesforce.com all started coming in and disrupting the traditional IT model. That must be ruffling feathers. I think pretty much everyone assumes that the federal government IT establishment is this big lumbering inefficient giant that’s slow to embrace change and innovation. Absolutely, and unfortunately it has led to billions of dollars in wasteful and duplicative spending. And we haven’t benefited from the innovation that is taking place in the private sector, especially in the consumer space. Just to give you a data point, on something as simple as email: The General Services Administration, which is in the process of moving to Google Apps, and the U.S. Department of Agriculture which is in the process of moving to Microsoft Azure, just by moving email to those cloud services we were able to save $40 million. Imagine what we can do if we start moving billions of dollars worth of spending on other things like our financial systems. Imagine what we might save if we fundamentally re-think how we deploy IT across the federal government. So you’ve selected some agencies that are moving various aspects of their operation to the cloud? Yes. I required every department to pick three systems that they could move to the cloud within the next year. So what you’re seeing in this document is the list of 78 systems that these agencies are going to be moving. (Document below.) You can see the diversity of the projects, whether it’s capital planning software, to geospatial solutions to collaboration to human resource management solutions. This is a very exciting time in the public sector. We’re unleashing the cloud revolution and we’re backed by billions of dollars to do it. So how much do you think you can save? We’ve identified up to $20 billion worth of IT spending that can move to the cloud. That’s out of the total federal IT budget of about $80 billion. So out of that we’ve identified about $20 billion worth of spending that can move to the cloud. And we won’t know how much we’ll save until the procurements are done because you have to go through the competitive bidding process, but we think that out of that $20 billion we could easily save $5 billion or more. So that’s the minimum in savings we’re looking for. Now I say this as the son of a retired career federal employee: Government projects, especially around IT, never quite go as planned. They always seem to be late, they always seem to go over budget. Is that a likely scenario here? There’s lots of examples like that. There’s the Department of Defense’s enterprise human resources system that took 12 years and a billion dollars to build and it never worked. What we’re doing here is moving to a new model that adopts consumer technologies. If you go back to the 1960s, the government was the center of gravity when it came to innovation and technology. You would come to the federal government to get access to the most groundbreaking and innovative technologies. In the 1980s that leadership role moved to the private sector, where enterprises had the best technologies. In 2005 you started to see all the megatrends around storage and software converge in the consumer space, whether it was around mobile communications or search technology or financial systems. Part of what we’re trying to do is make sure the federal government isn’t frozen in time. So in an age where everyone in government is concerned about cutting budgets right and left, you’ve got a big $80 billion piece of the federal budget in your portfolio. Where would you like that number to be ideally? Here’s the biggest challenge. We spend $80 billion right now, and part of it is that we’re spending it in the wrong place. It’s not that we’re spending too much. If you look at the American people, how they interact with the federal government, it isn’t as convenient as buying a book on Amazon or booking a restaurant on Opentable or making a flight reservation on Expedia. And that’s because everyone is spending all these dollars from the departmental perspective on redundant and duplicative infrastructure. Part of what we’re doing is moving away from that and moving toward high value work. Second, if you look at the next five years, the federal governement and society in general is going to create more digital content and information than it has since the dawn of human history. So the demand for IT is growing exponentially. The demand is going up. So how do you measure progress? The White House has always portrayed this administration as being very data-driven, and intent on pursuing work that shows productive results. What determines success? There’s the $3 billion saved from terminated projects that we talked about, and then the $5 billion or more from cloud projects. Then more savings from shutting down and consolidating our data centers. And we’re going to sell off the assets and real estate that we’re not using. We’ve also committed that we’re going to either turn around or terminate one third of the IT portfolio that is under-performing. These are projects that are millions of dollars over budget or years behind schedule. There’s no time to continue projects that aren’t yielding dividends that the American people have a right to expect.